The Trust prides itself on being a research-active hospital. As a Trust, we believe it is vital to be able to offer patients the opportunity to access the best new treatments, and to be able to help shape future care. We have nationally and internationally renowned investigators in a number of key clinical areas. There are over 70 staff employed by the Trust to support the delivery of clinical research, over half of those are registered nurses. We are very keen to support and promote local Nursing and Allied Health Professional research. We try to offer patents in all areas the opportunity to get involved in research, and traditionally excel in more complex interventional studies. 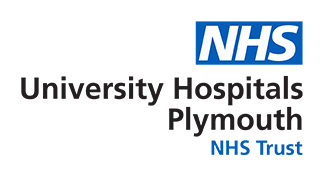 University Hospitals Plymouth prides itself on its ability not only to recruit the number of patients we agree, but also to give excellent care during the study so that our patients remain in the study until their last scheduled visit. We have a very stable population in the South West, and our research patient feedback is exceptional. The Principal Investigator (PI) is the person responsible for a study at site level. We have a growing number of nurses and midwives in the Trust who are PIs for NIHR adopted studies – this is a role that we are committed to promoting and supporting. We also encourage staff to develop their own research ideas and have a dedicated Research Adviser who can provide guidance and support on how best to write, fund and deliver a study. We work in collaboration with Plymouth University to offer a 20 credit degree level ‘Enhancing Clinical Research in Practice’ module, while the University also offers a Masters Degree in Clinical Research. We offer placements for both nursing students and medical students with our clinical research teams, and are keen to demonstrate that research is a viable and exciting career pathway. The hospital houses a dedicated Research ward ‘The Lind’ which has day time accommodation for 10 patients. This allows us to care for patients who need specialist care, which might be supplementary to their standard clinical care. We have a number of research teams based in different clinical areas. In many of those areas research is now seen as a core treatment option for patients, rather than an additional service. For example, our haematology and oncology teams are both accommodated alongside their clinical colleagues and share patient ward and clinic space, providing our patients with a seamless experience between standard care and research. Our aim is to become more integrated with the clinical teams in the Trust so that research becomes part of standard hospital practice. This means that we actively promote opportunities to work in collaboration with our clinical teams.